Looking for privacy, spectacular lakeview & fishing right off your dock, this is it. 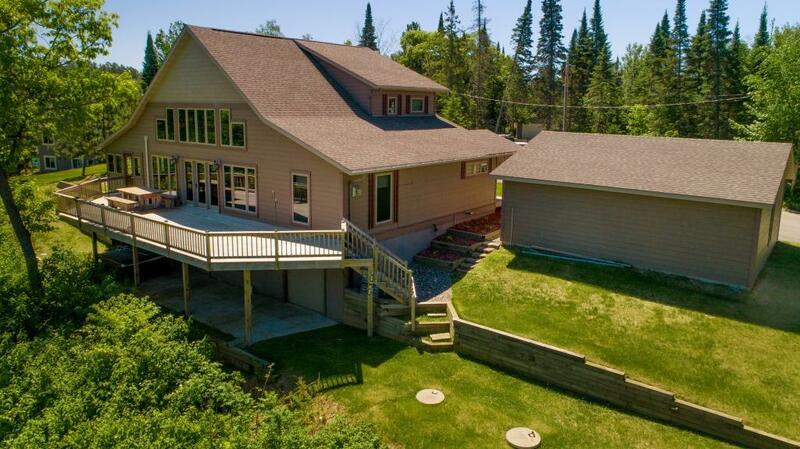 Leech Lake, Shingobee Bay, 2.56 ac, 650 ft frontage, newer 3bd 3ba, 1.5 story, 2232 sq ft finished plus 1232 sq ft lower level walkout framed & elect in for additional family rm, br & ba. Panoramic lake views thru extensive glass windows plus xtra lrg lakeview/lounging deck. Exceptional kt w lrg bkfst/gathering bar. Spacious entry foyer, Main fl mstr br suite, main fl office, dbl garage. Very nice. askRICK.com dba Walker Area Realty is the brokerage office representing the seller for this listing.